In the 90s, life was all about experimenting with hair. 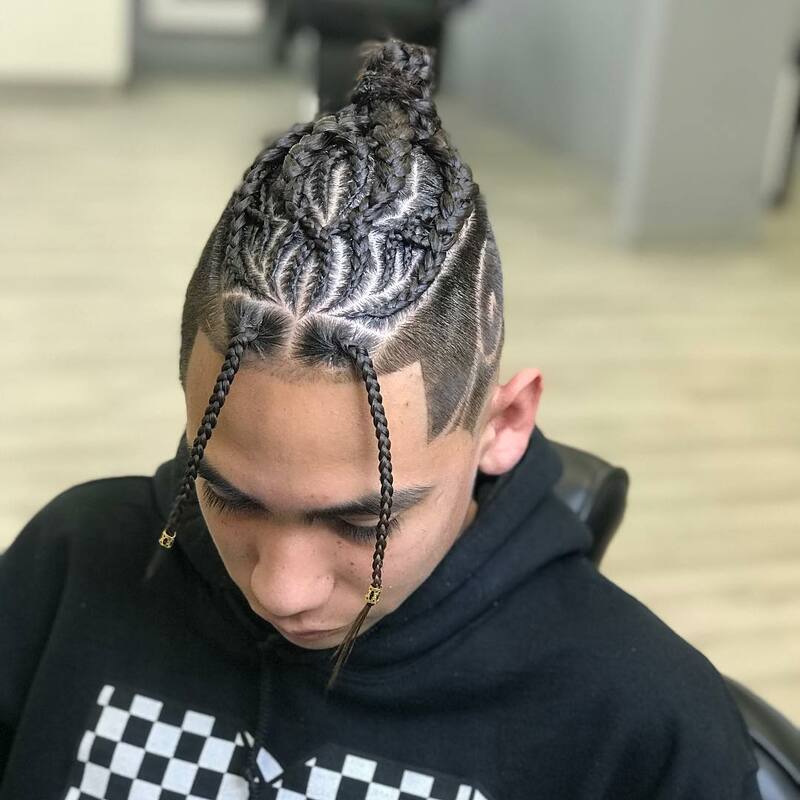 Within a short space of time, I myself went from dreamboat flat top to chin-length – and even kriss-kross cornrows (don’t judge me here, please!). 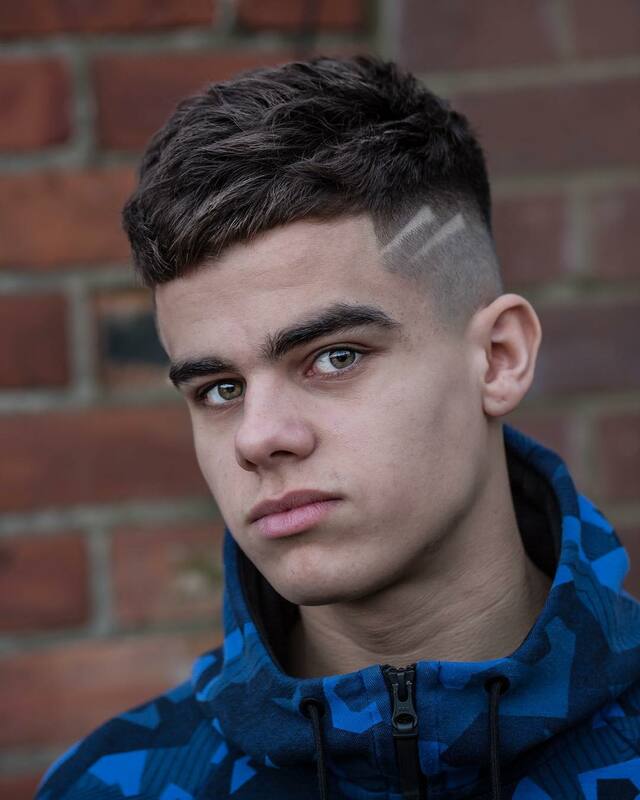 But today’s teen boy haircuts seem to have entered a new era of sophisticated. Shorter sides, longer tops are taking the world by storm as we speak. It’s about the fade and the undercut. The contrast between different lengths – and the carefree ‘I’m kind of a bad boy’ vibe. The good news is that, the ‘short sides long top’ hairstyles are extremely versatile and will work on pretty much any imaginable hair type. 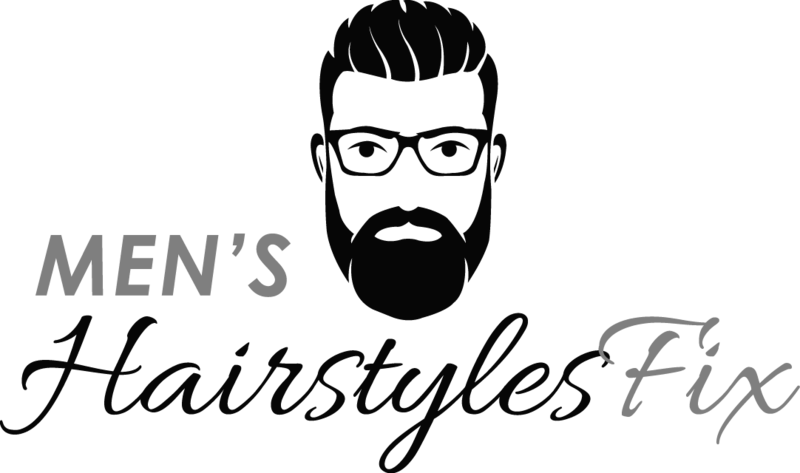 Curly, wavy, straight, thick, thin – whatever type of hair you’ve been given, you will pull it off! 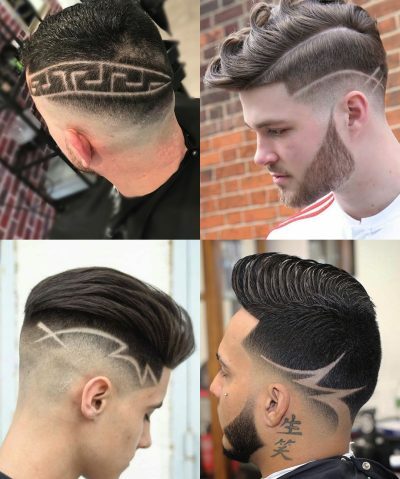 The only problem is that, there are tons of teen boy haircuts to choose from. But don’t fret – you won’t have to spend hours scrolling through Instagram photos desperate to get inspired, because we have some ultimate favorites we’re going to share. 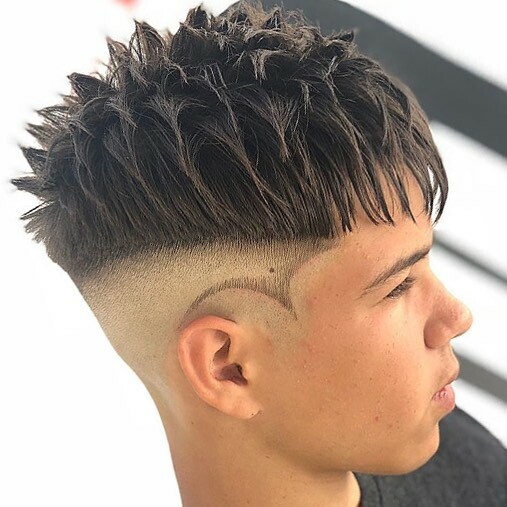 Let’s check out these 10 coolest teen boy haircuts that are thriving right now. And – let me tell you this…these are definitely too cool for school. 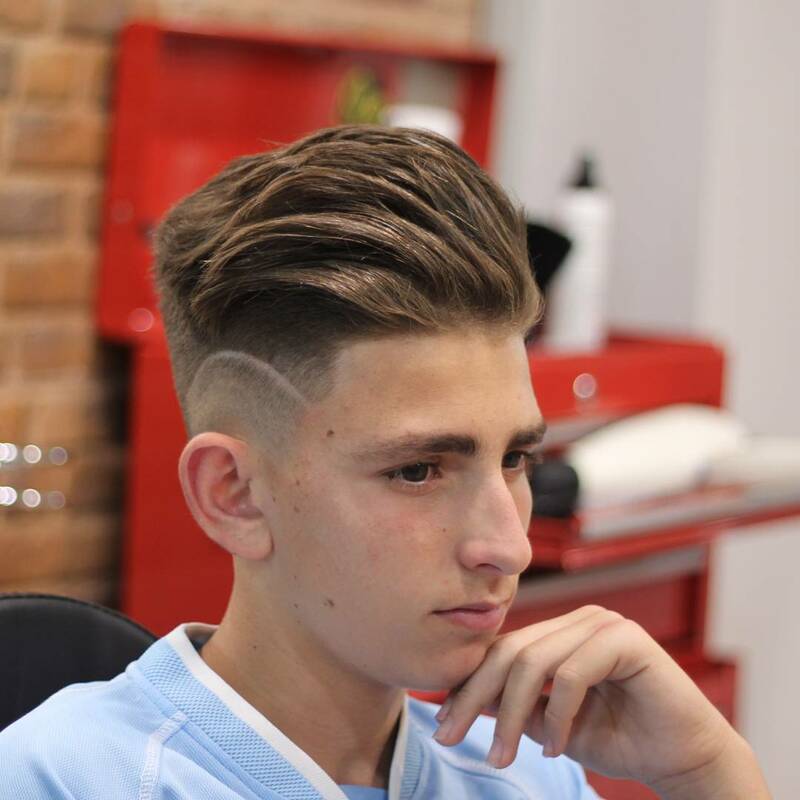 Impressive and artistic, how else can we describe this cool and neat hairstyle for teens? It gives emphasis to his handsome face while also leaving a good impression of style and fashion sense at the same time. Don’t think twice but get the look today! 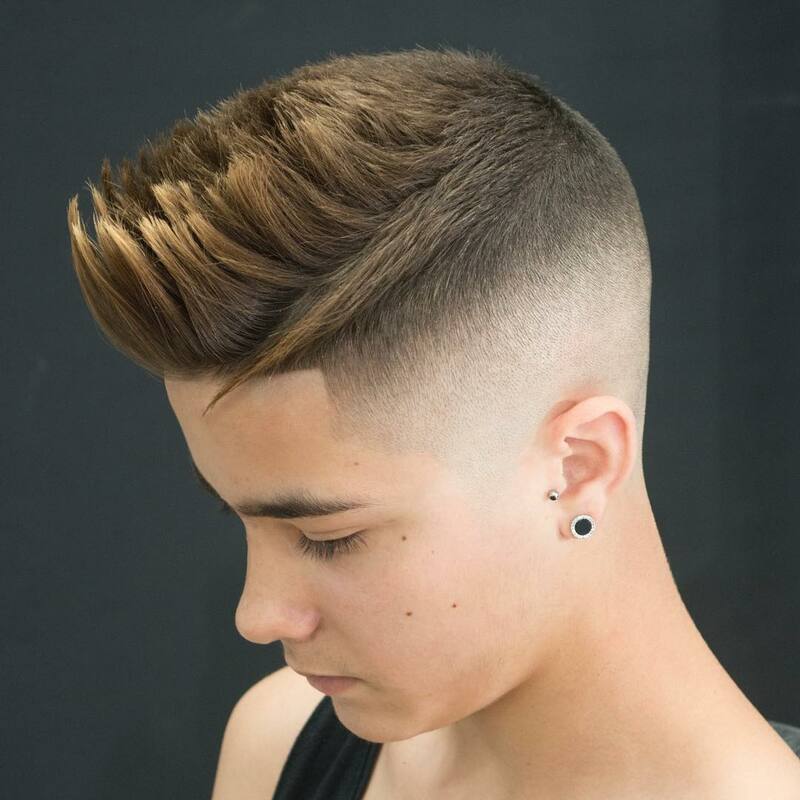 The classic undercut was given a new life with this haircut for teens. It looks neat yet trendy. Just a little maintenance to keep the look is all you need. 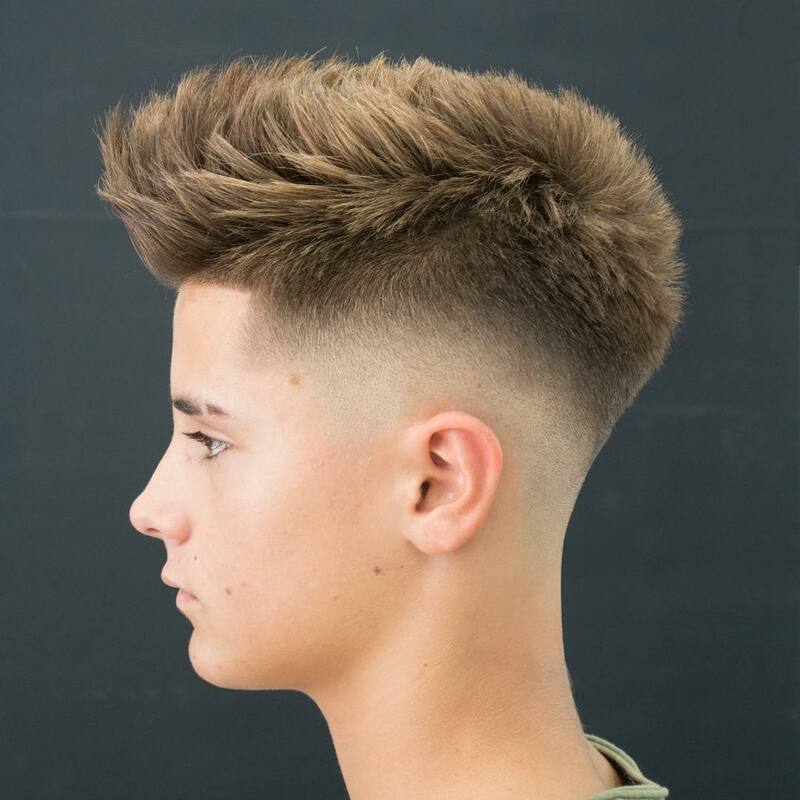 Long on top and short on the back and sides, the mid fade and high top haircut is for teens who want to have a new hairdo to be proud of wearing at play or in school. Check it out and see how cool you would look with it! The French crop is the perfect summer haircut for its short and wash-and-wear. It suits all face shapes and hair types. The cut can also give some volume illusion. Try it and find out what your friends have to say to the new style. 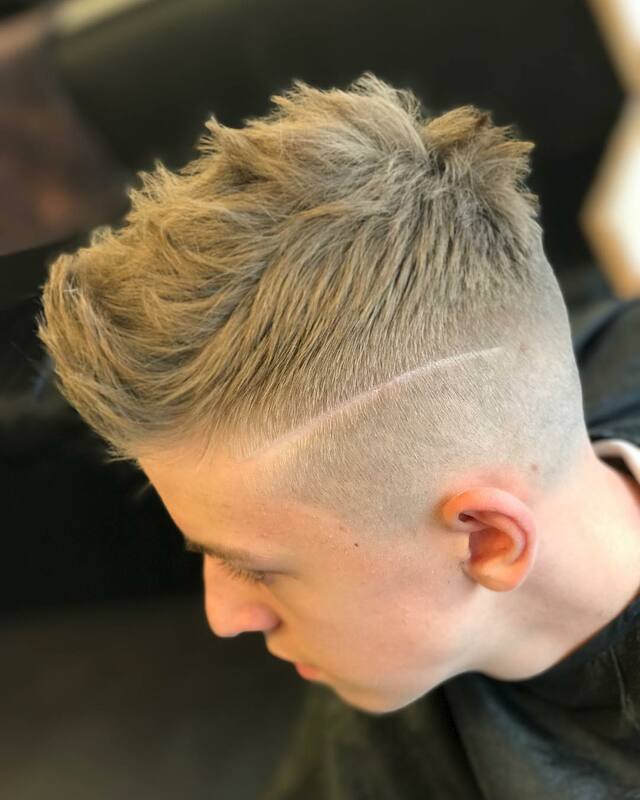 Whether you’re looking to give a new life to your crowning glory or just trying to experiment with another style, the mid fade can be for you! Use some hairstyling products for shine and hold. It requires less maintenance and effort to style the slicked back haircut. Check it out and give life to your hair today! 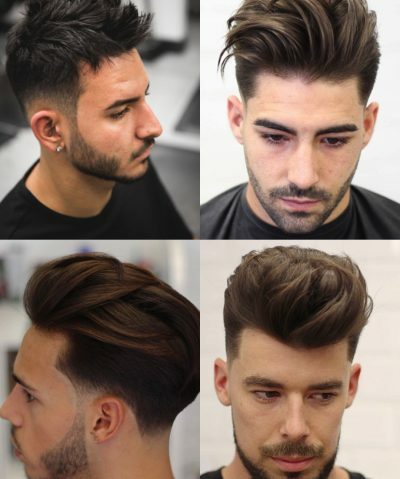 The medium length cut is for those who want to achieve a balance between a short and long hairstyle. It looks trendy yet also neat to wear in schools. 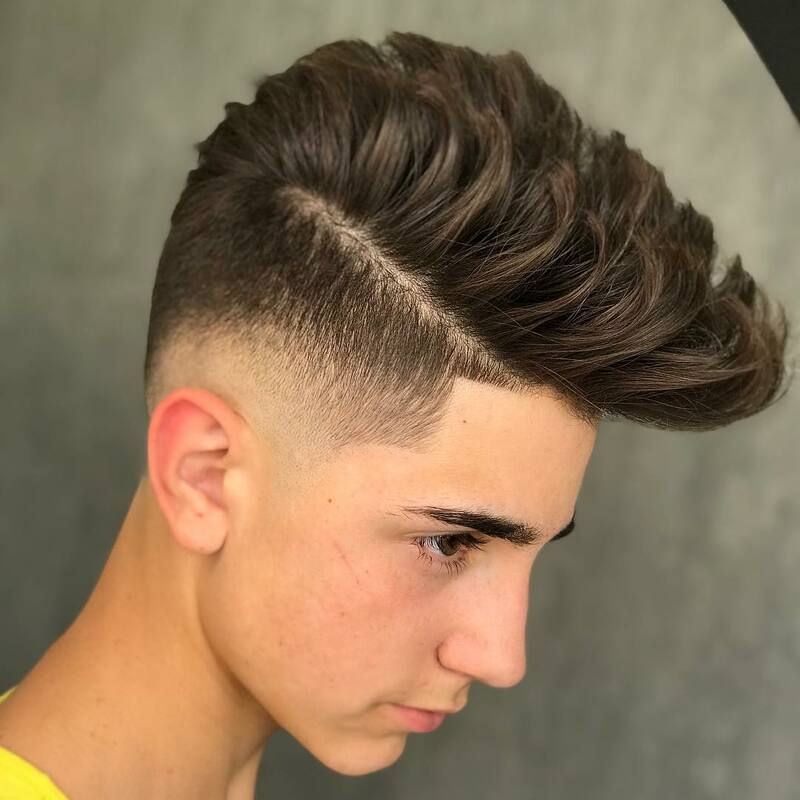 The classic quiff hairstyle is perfect for teenage boys who love to experiment with different hairstyles until they find the perfect match. 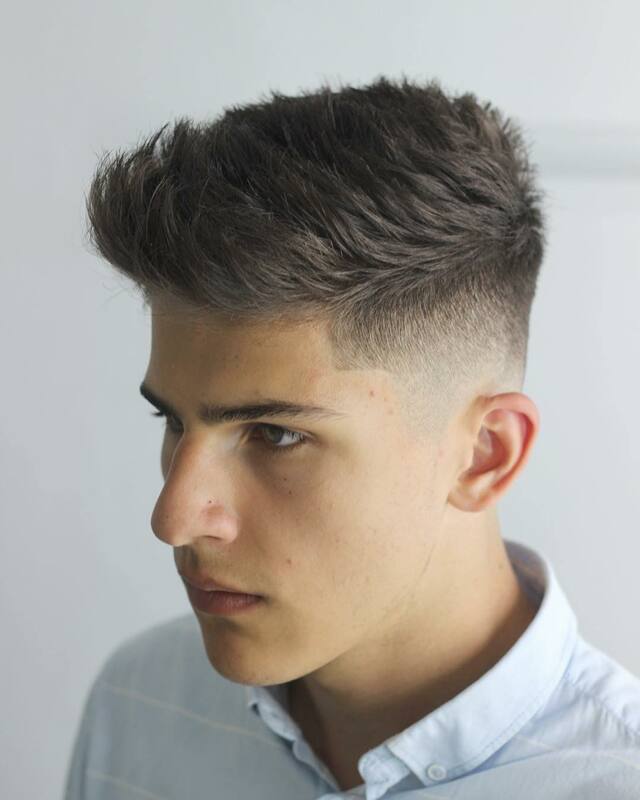 This haircut must be it! Print this photo out and show it to your barber today! 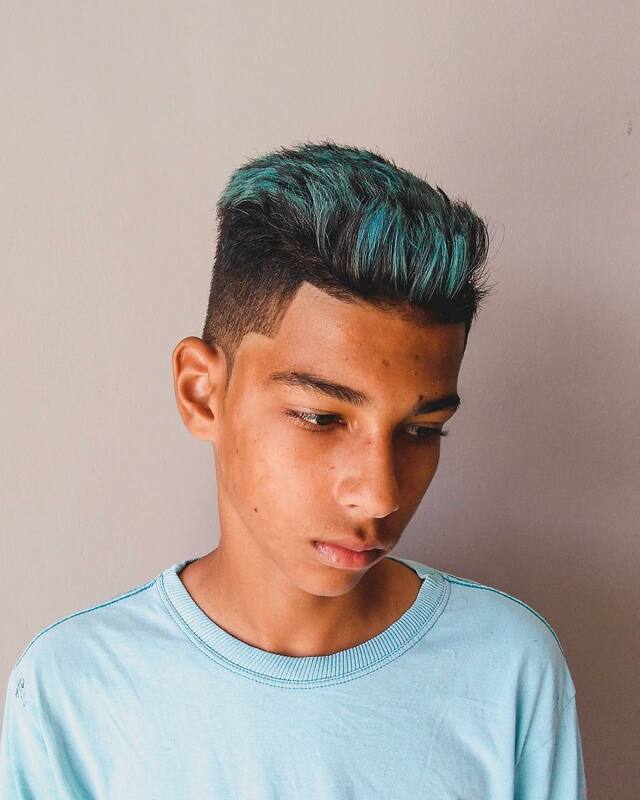 The big wavy crop is for boys that have naturally curly or wavy hair. It has long top and short back and sides. It looks comfortable to wear on any occasion and function, too. 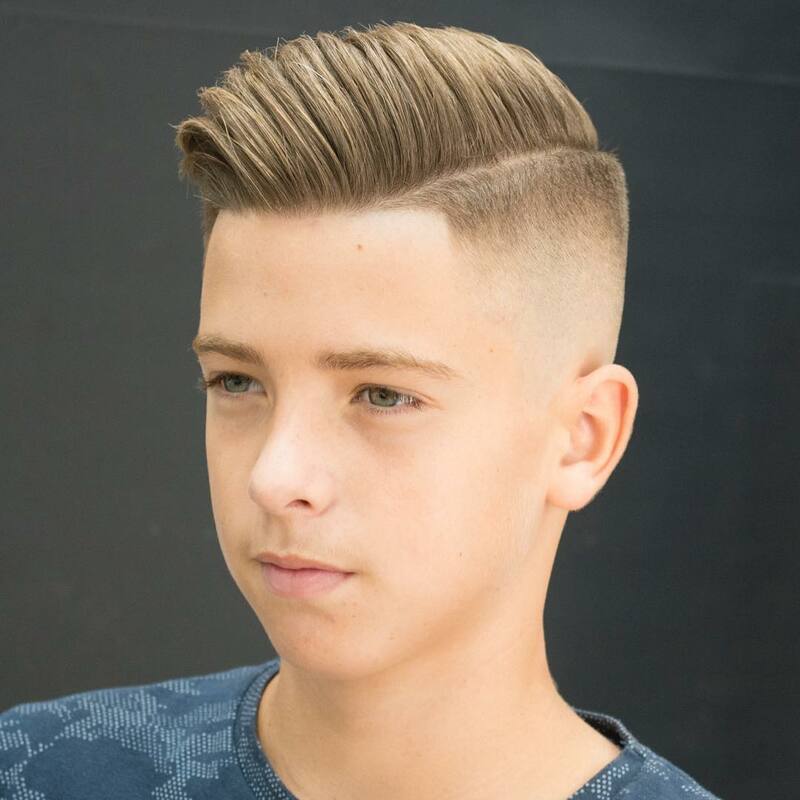 OK, now this is the ultimate young boys’ hairstyle that gives them that manly appeal to wow anyone they encounter. But this hairstyle needs some styling products and maintenance to keep thee look. 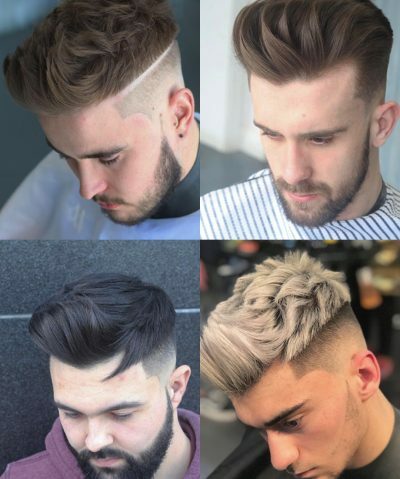 You won’t go wrong with the skin fade that suits all face shapes and hair colors. It looks slick and appealing to wear on any occasion. 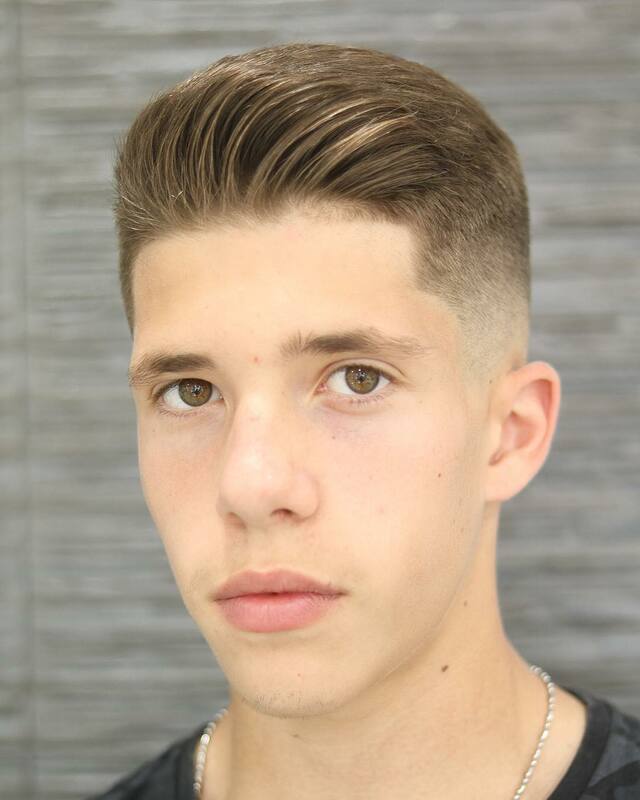 This haircut can emphasize a teen’s handsome face and highlight his gorgeous eyes. 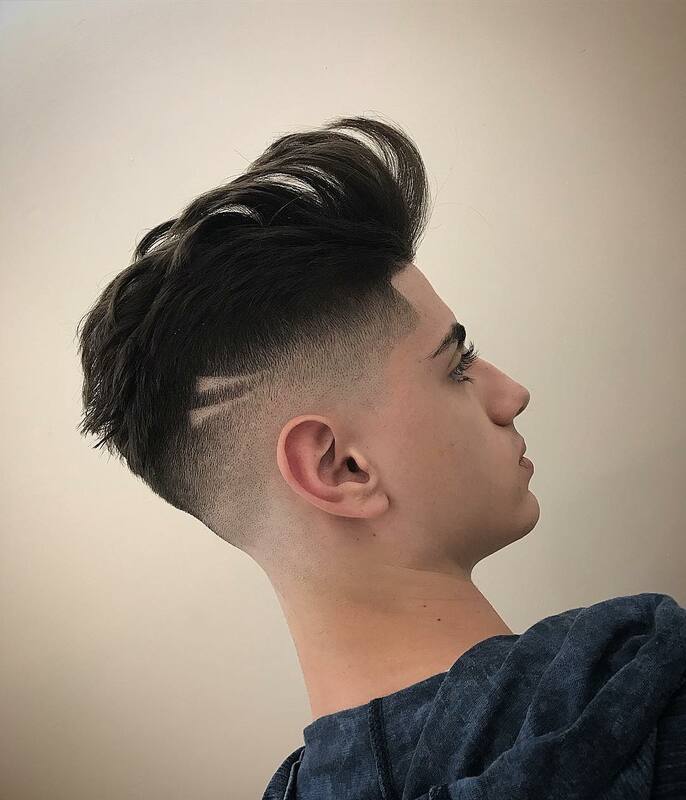 This haircut is calling you! 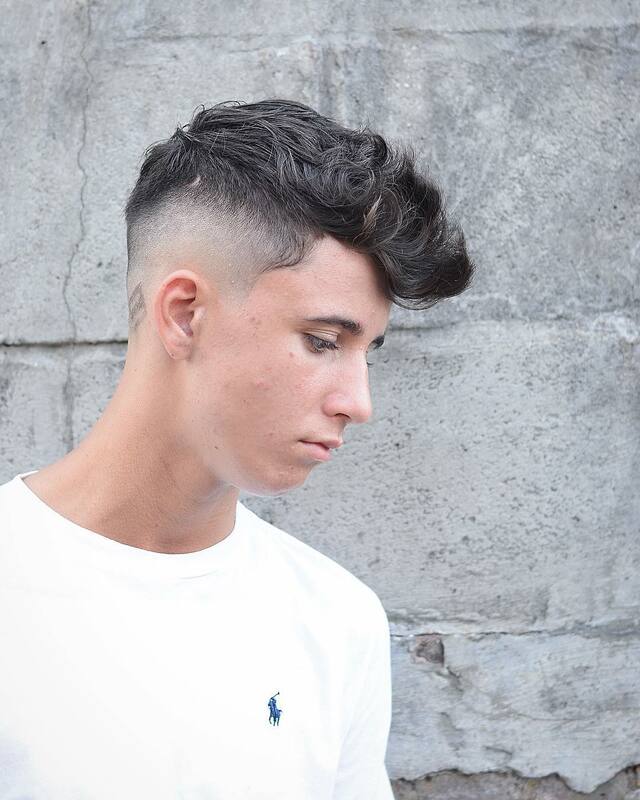 The sharp fade with spike top is for teens that want to look totally stylish and trendy. It works on any kind of fashion sense because it is a combination of formal and casual look. Try it today! You got short hair but want some spikes on top? 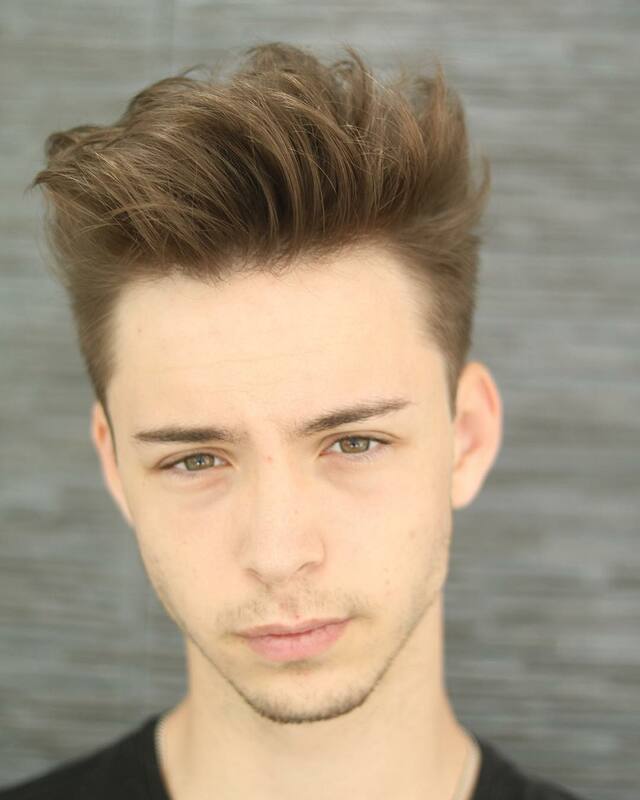 No problem with the short spiky hairstyle. Just ask your stylist to leave enough length on top for the masterpiece spikes. 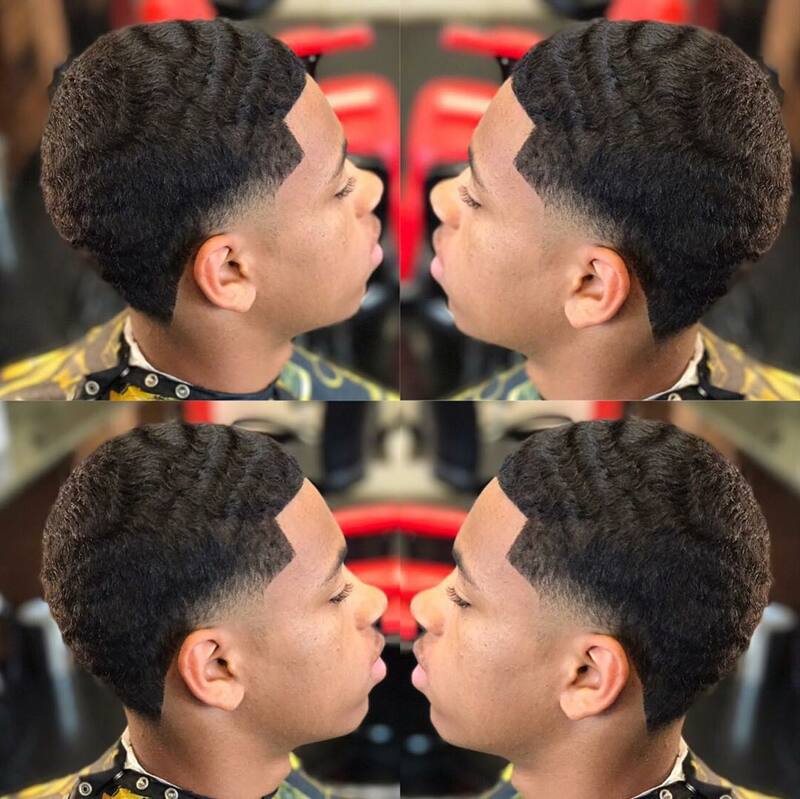 For African American boys with naturally curly hair, the Afro hair with line up is a cool hairstyle to try because it gives some definition on the sides while keeping the Afro appeal on top. 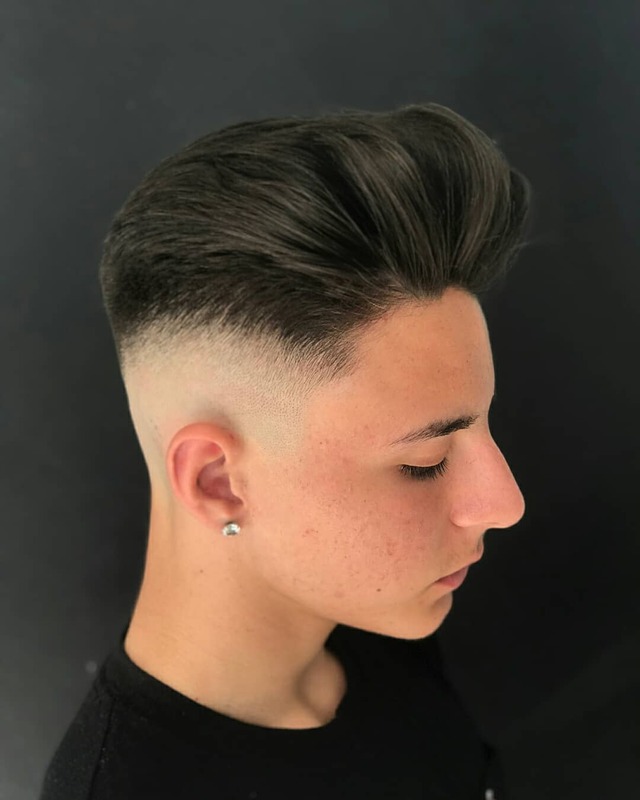 The pomp is a neat teen boy hairstyle that emphasizes the face and leaves a trendy top, which needs some styling products to achieve the pomp each time. 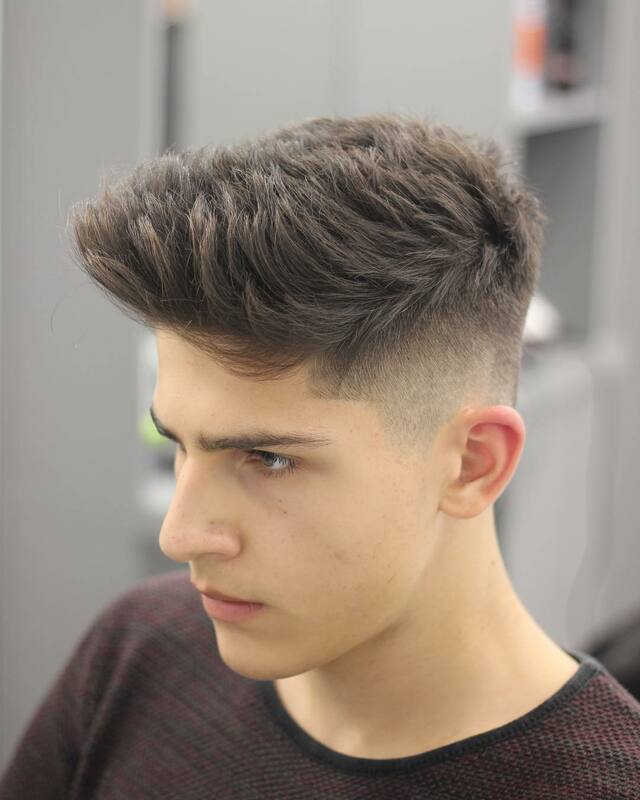 The natural cut is effortless and elegant! 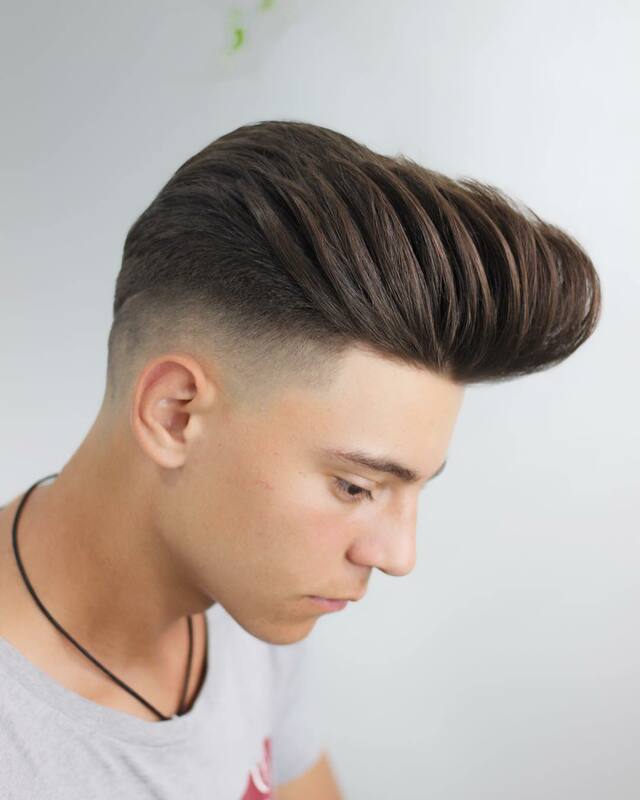 It is the hairstyle for boys who want a less maintenance yet nice looking hairstyle. It just looks innocent and cool at the same time. 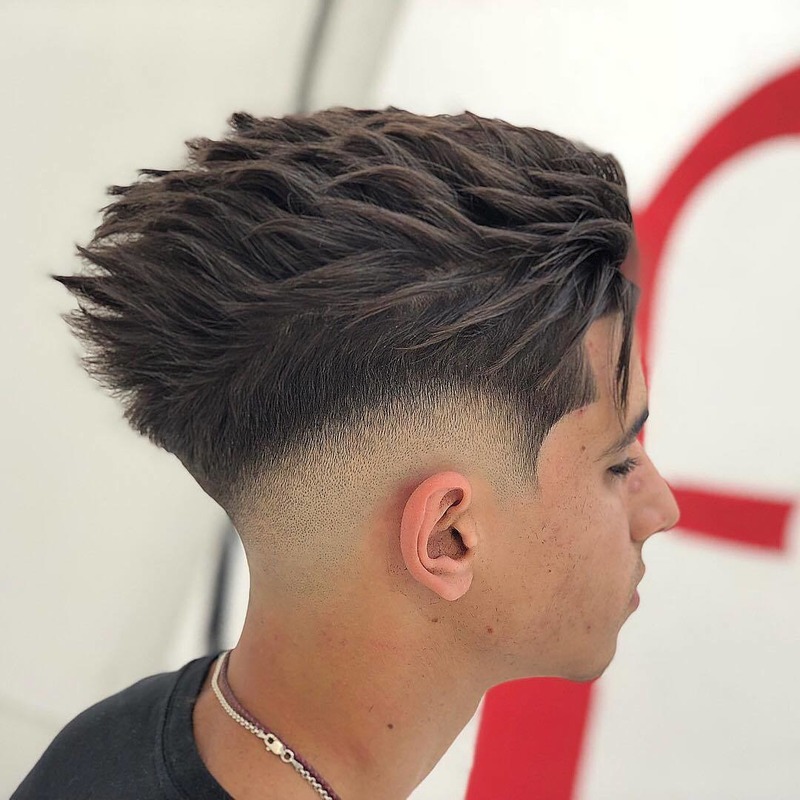 The classic spiky hairstyle is for boys that want to keep the spiky hairstyle that delivers an epic look with just some gel, clay or wax. 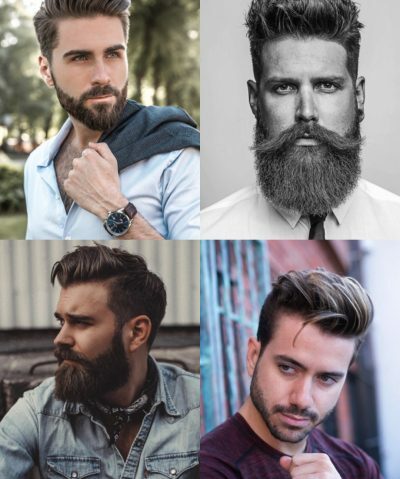 Just make sure to have the hair trimmed regularly to keep the definition. The 360 waves look cool especially in the summer. 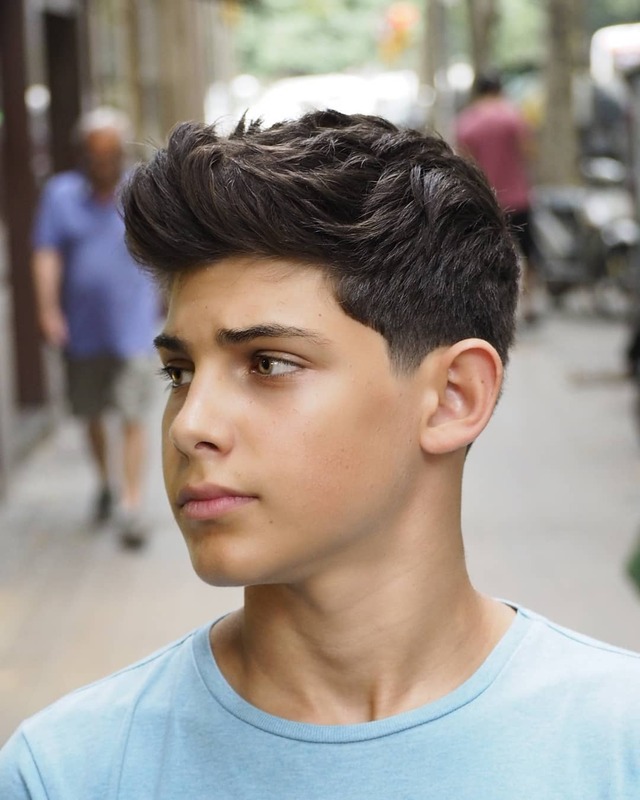 It can be the ideal short haircut for teens that want a less maintenance and wash-and-wear hairstyle. 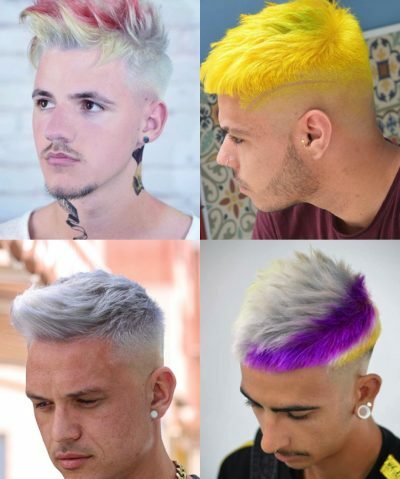 Do you have hair color? It does not have to be purple. If you want the simple crop for straight hair, you can have it. But of course, the purple can make it fiercer and trendier. Think about it. The classic crop does not go far away from hair fashion. In fact, the side designs can even make it look more fashionable than the rest of them all. It is short but sweet and can leave a good first impression of innocence. 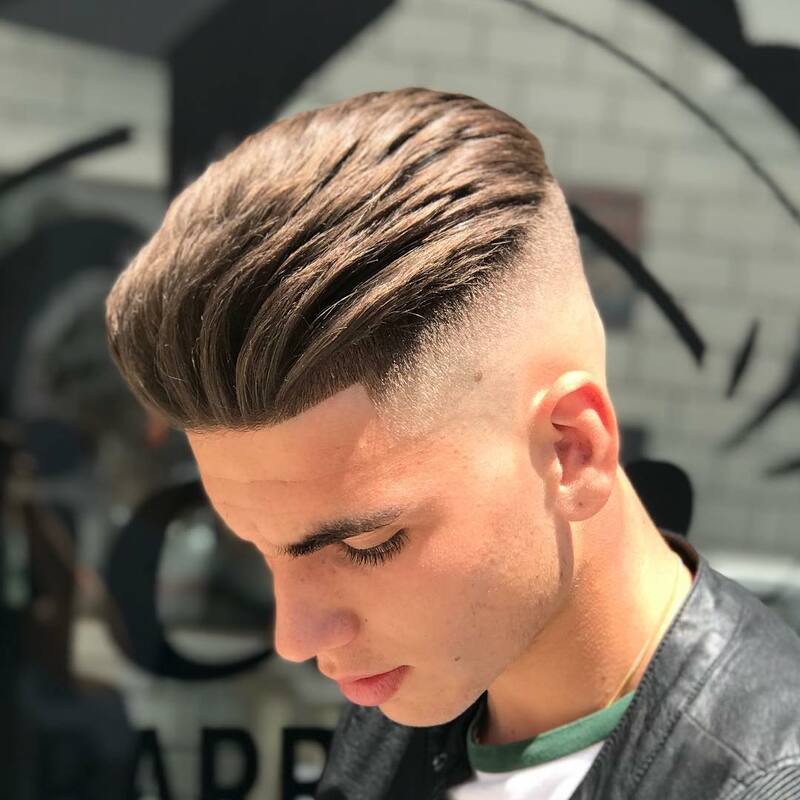 The clean hair cut with a side part is a great twist of traditions. It looks epic yet classic with the side design. 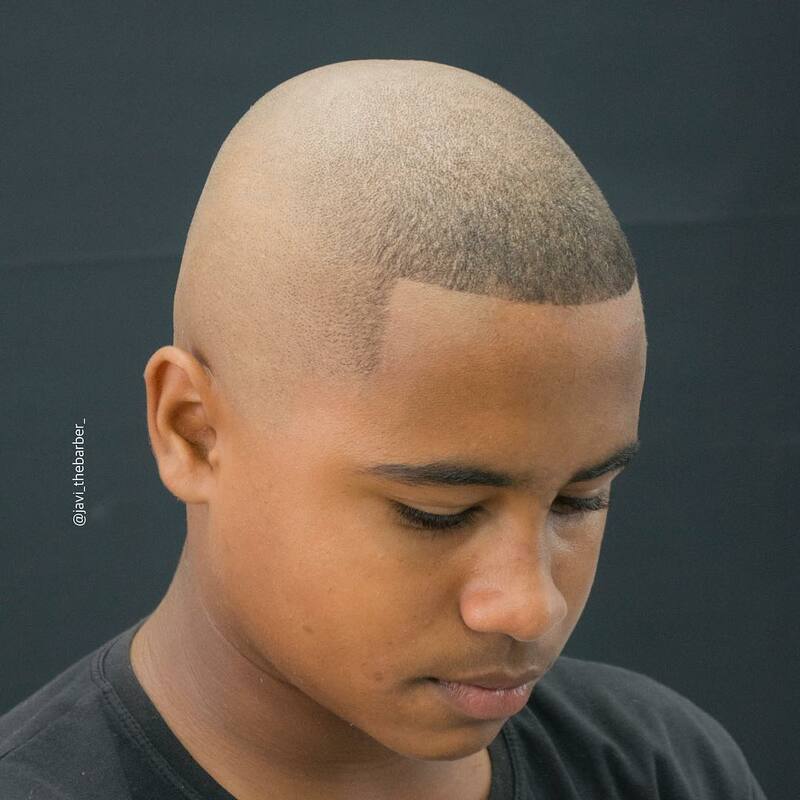 You can ask your barber for any design you want to match the hairstyle with, as you desire. Want an emo look? This hairstyle with a bang looks extra cool with the top’s hair styling. But of course, you should keep the style with hold products, such as clay, wax or gel. Make sure to condition your hair to keep it moisturized, too. 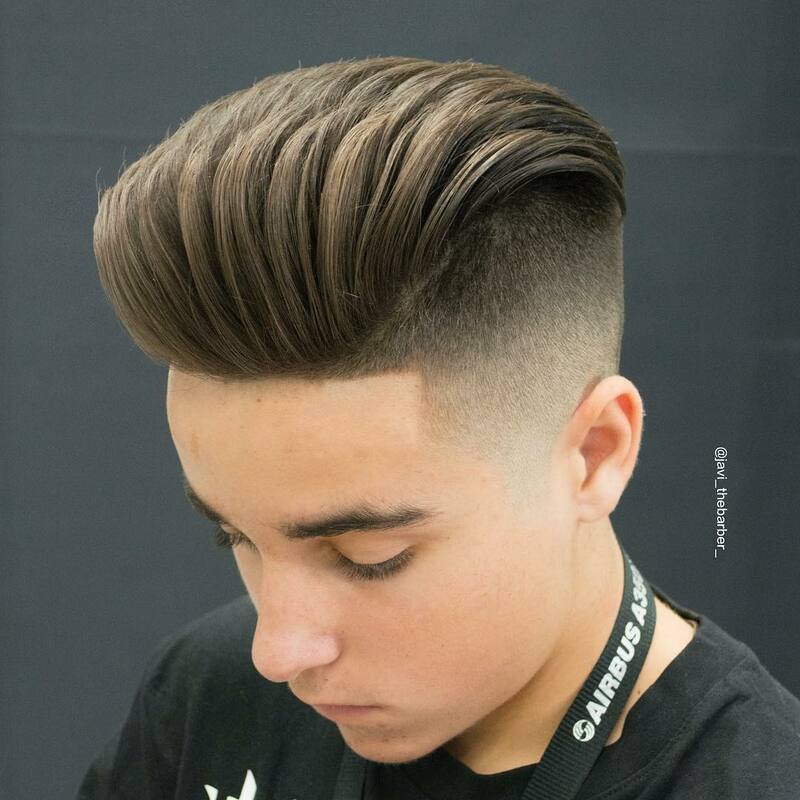 The pomp with fade is the style for teens who want to highlight a new look and their gorgeous faces. It looks as if a rock star is wearing it while keeping that young boy innocence. The braid hairstyle can be for teens who want to emphasize a braided hairstyle with some top designs. 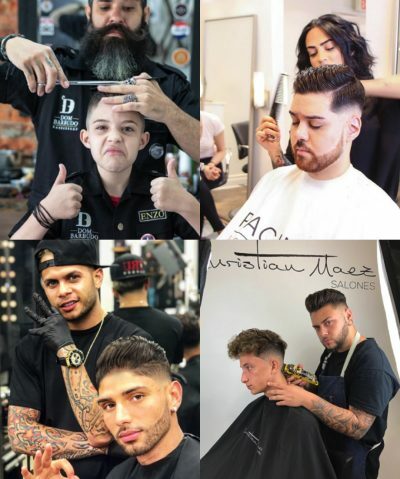 It takes some time to achieve the hairstyle, so you might need a hand from an experienced stylist. 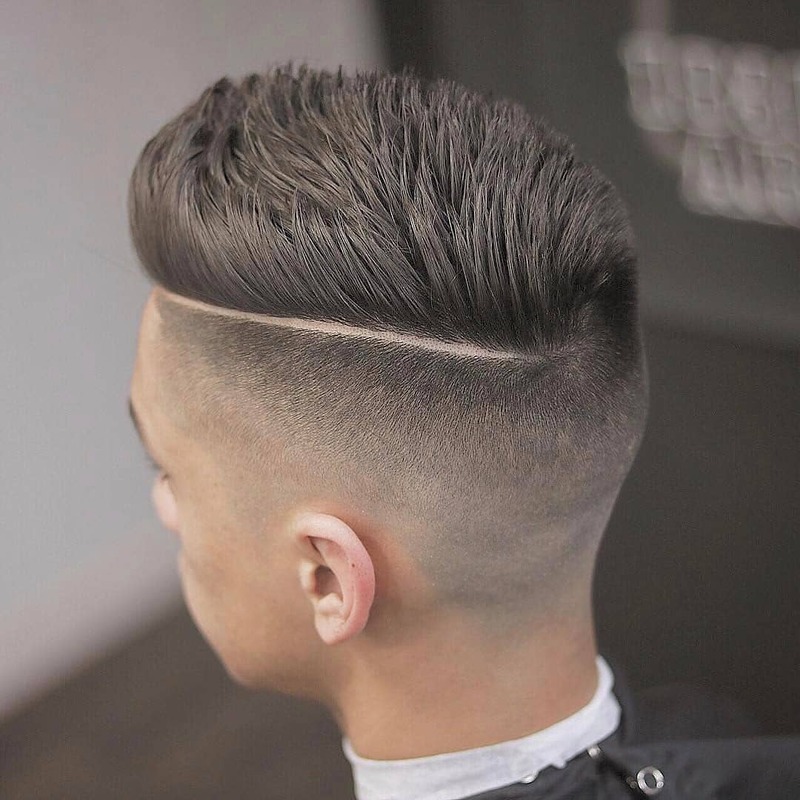 The classic undercut delivers that fashion statement to anyone who would look at it. 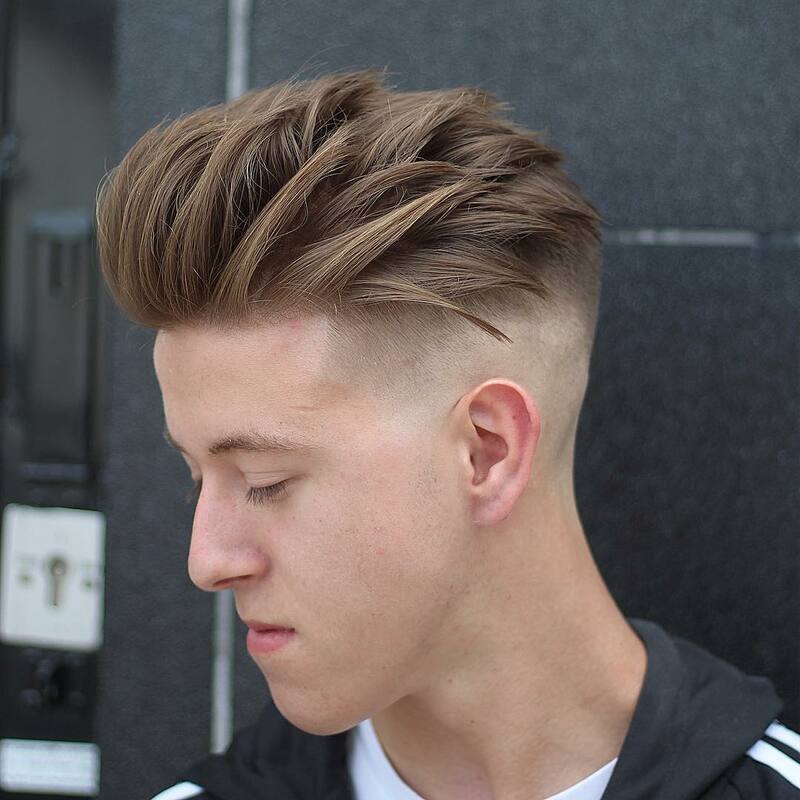 The style is longer on top and very short on the sides and back. With some designs, it could look extra cool, do you agree? 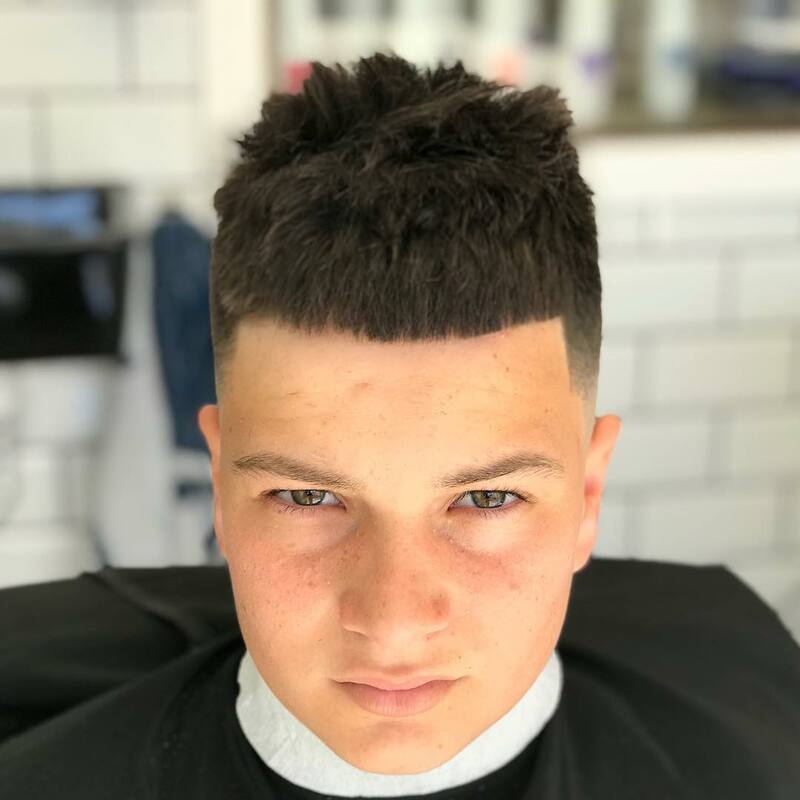 This medium spiky haircut is for teens that want to look trendy and stylish while keeping a neat school look. It does not mess with the face because it is styled away from it. With a little bit of hairstyling wax or clay, you can do well on this hairstyle. 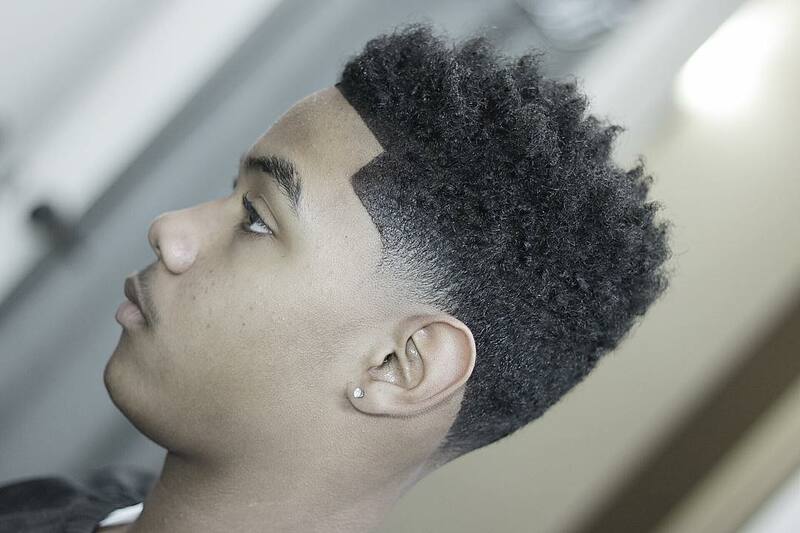 The cool clean fade looks clean and neat, and it gives that emphasis on the sides cut short and close to the skin. 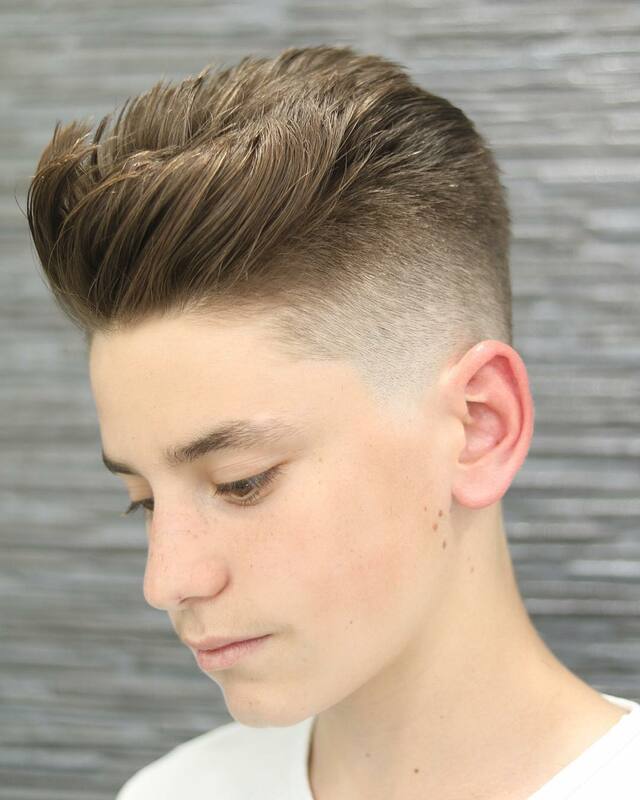 The pomp with an undercut is for teens that know exactly what they want, a classic and modern haircut in one. It looks well defined and gives emphasis on the long top combed back. 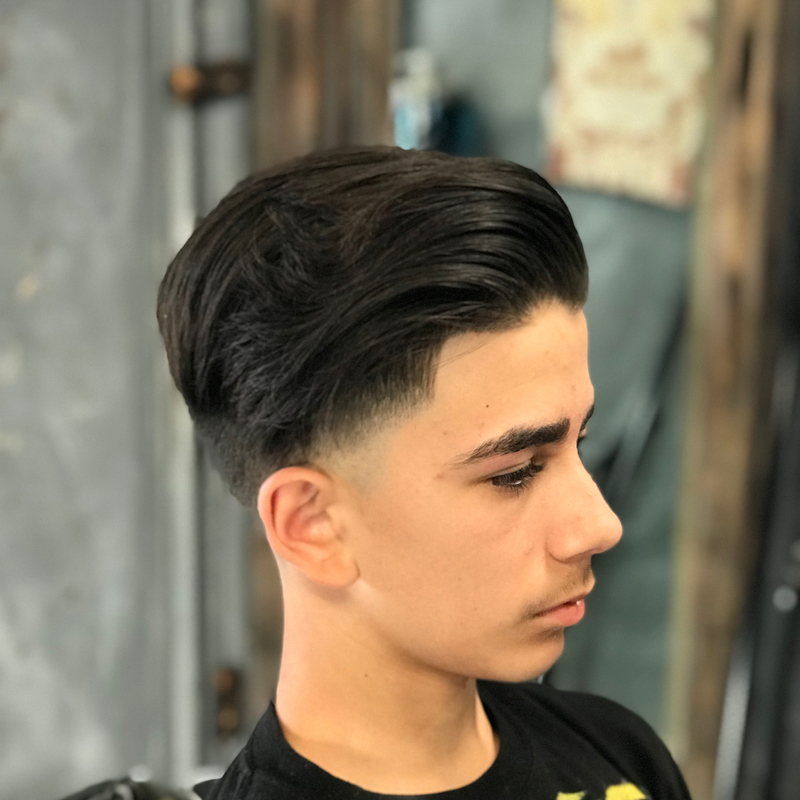 Now, this is the perfect summer hairstyle for teens that want a wash and wear hairstyle without using styling products. The comb side part hairstyle looks neat and clean. It is just perfect for teens who also engage in sports because it looks comfortable to wear. Now, we don’t think we’ve seen anything cooler than this for a while – have you? 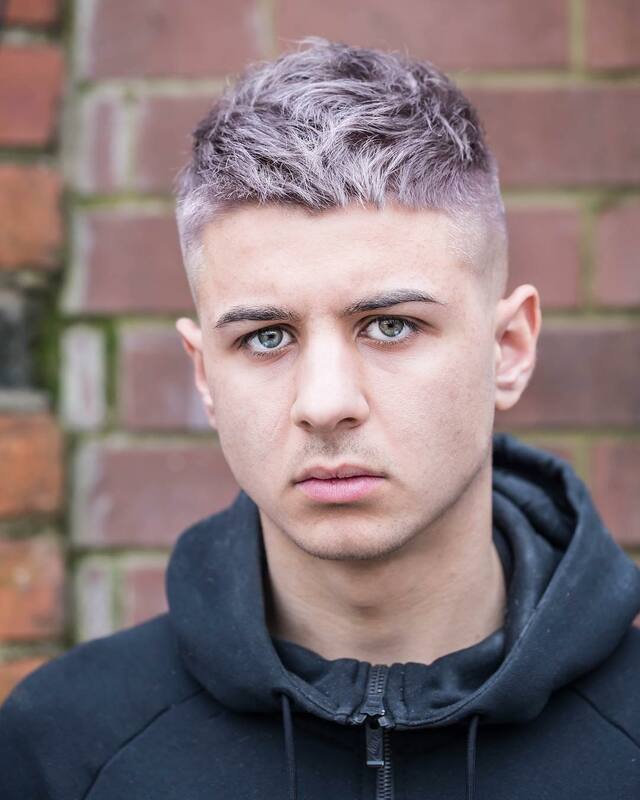 We absolutely dig this quirky, sharp and trendy hairstyle – especially the coloured ends! Whichever colour you go for, it’s going to be a definite head-turner. To achieve the textured look, go for a dash of medium-hold pomade. Check out this sleek hairstyle – and tell me it’s not perfect for mid-length hair! How does one style a combover, you wonder? Start with fresh, clean hair and use a blow dryer to create more volume. 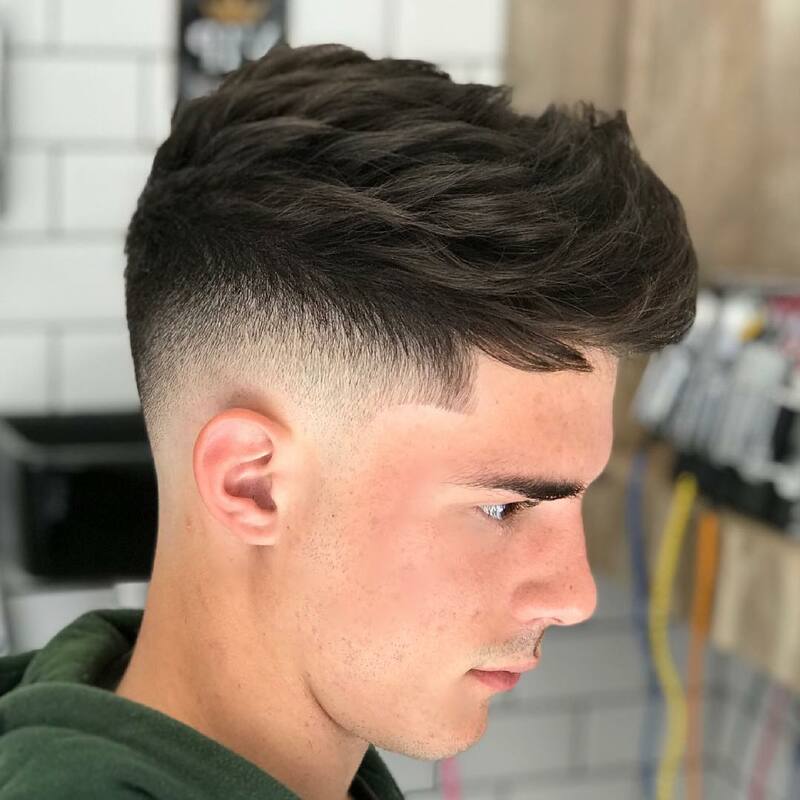 Take a dime-sized amount of styling cream (casual, relaxed look) or pomade (for more shine and stronger hold), working it into the hair from the roots. If you’re after a clean part, then you’ll want to comb lengthwise starting from the back of your head to your forehead. And – you’re good to go! Now – what did we say about the undercut being the most versatile hairstyle there is? If you didn’t believe us, here’s your proof! 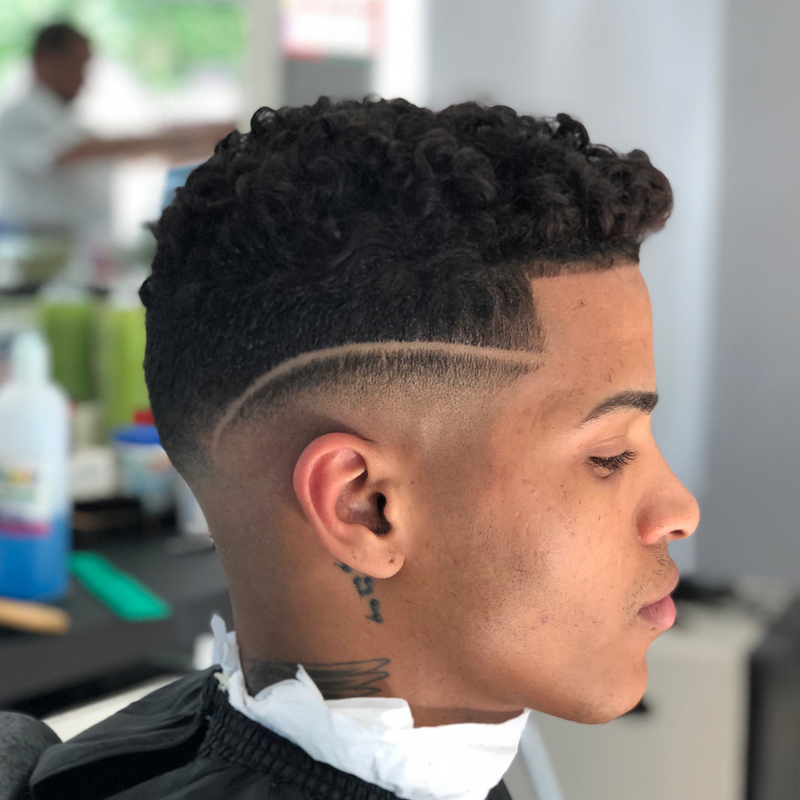 We’re used to seeing an undercut on straight hair most often, but even if you have afro hair or curls, you can still achieve an uber cool undercut hairstyle. Maybe one that’s even more unique… Especially if you add a design detail like this one!